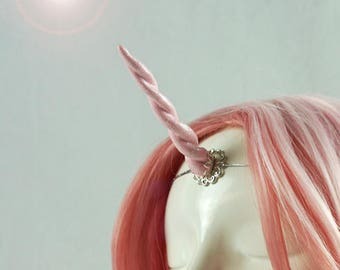 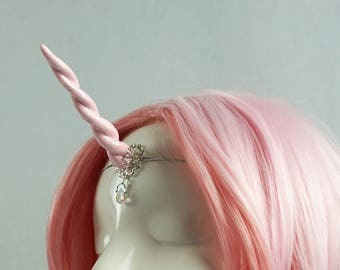 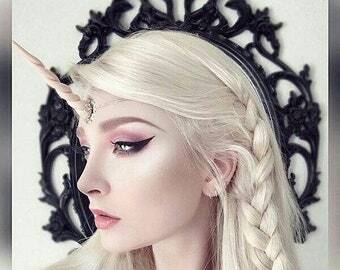 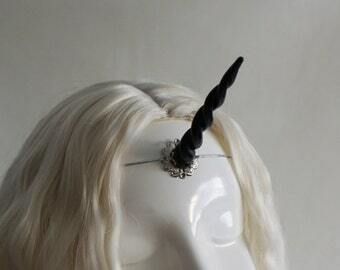 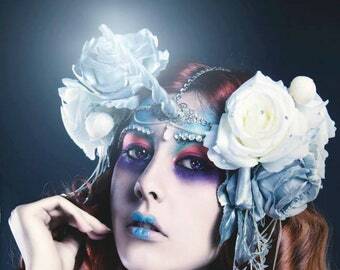 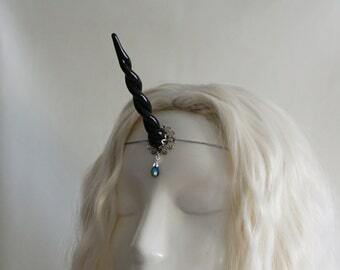 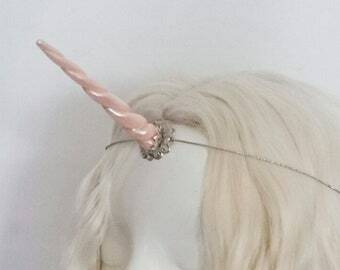 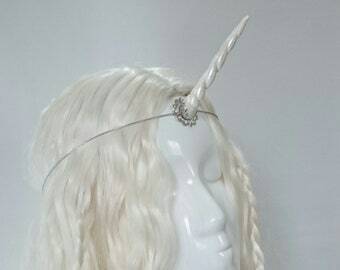 Silver tiara with a small pearlescent withe unicorn horn on a small filigree. 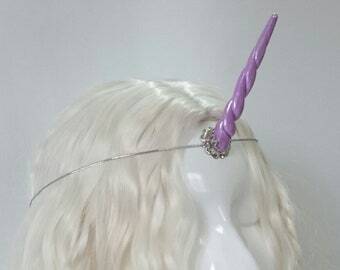 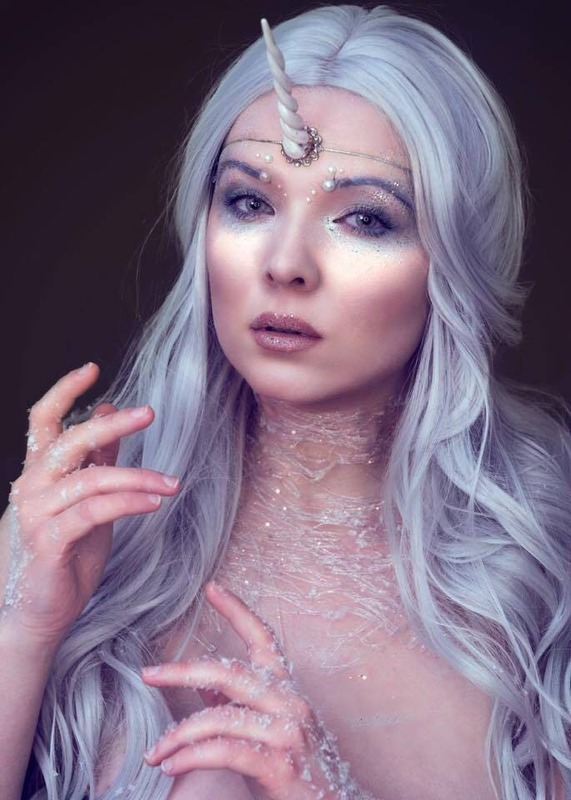 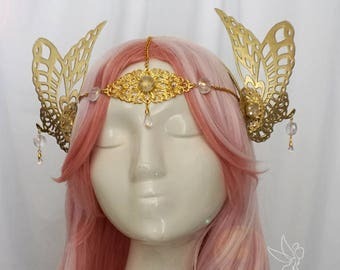 The tiara fits with a silver elastic cord around the head. 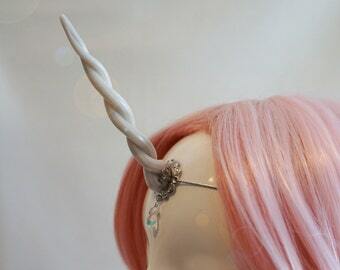 The horn is beautiful and well made! 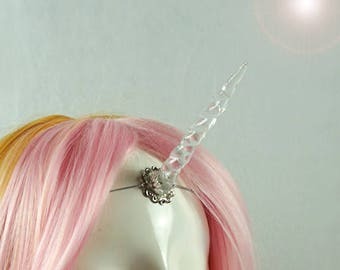 Just like the pictures and it arrived quickly!